Increase lifetime of your car by protecting it from all the weather conditions using carport. A carport is a stand-alone structure which has a specific ergonomic design used for protecting your cars from external damage. Carports can be built stand-alone or with supporting foundation attached to wall at one or two sides. Most of the carports are open type with four to six standing poles enabled with top roof. Some carports will have one or two walls leaving the other with standing poles. There are some other carports, which can be constructed as a closed shelter with automatic shutter system, which are mostly seen in foreign countries. In general, this type of carports is highly recommendable for houses having low space and for houses without external walls and gates. There are many types of carports, which are in use today. Carports can be made of steel, aluminum and even of wood, so your construction costs can vary accordingly, and you can choose a readymade one or order for some customized carports also. There are multiple types of carports available in market. There are many firms offering different types of carports and installations. If you want to choose relevant carport for your vehicles, first browse about the different types of carports available in the market. Based on the materials used, carports are classified into different types. In order to select right carport for your vehicles, first identify the available space and number of vehicles to be parked in it. Now identify your requirement whether it is temporary or permanent carport required. If you want a carport that comes cheaper, then you can opt for the plastic or the polyester ones. They are handy and are also available in many designs. However, the metallic carports can be a little costly, but they are also sturdy and corrosion-proof. There are many companies offering carport structures to houses and offices. Approach them for installation of desired carport. Otherwise, you can install on your own following some guidelines. How to Build a Carport? Before starting the process, prepare a plan to construct a carport. Make sure of the space available and measurements of carport to be constructed. Be sure about non-violating any local property codes nearby your house. Check twice the complete spot is free from water lines or gas lines. After confirming, mark out the points spreading throughout the area. Mark the complete area using stakes and strings. After plotting, check the markings once again whether they are marked in correct shape or not. Start digging holes at the marked points with 1foot wide and depth. Now mix the concrete and pour it into the holes. Later make stirrup bracket settle in the center of these concrete pads leaving minimum 3 inches between ground and bottom level. In the same way, arrange the brackets in all holes. After completion of arrangement, take plywood and keep it over concrete. Leave them for two days allowing concrete to dry. Measure the height to which you want to plan carport roof. In order to avoid gathering of water, snow and other particles on roof, take measurements with slight slope. Cut rebates on all posts for bearers. Now cut bearing beam fitting the length of carport and arrange into rebates made. Bolt the beam into rebates using bolts. Now measure the number of rafters required. Cut the rafters and place them in between two bearing beam maintaining approximate space of 3 feet. Attach these rafters using nails. After attaching rafters, measure and cut the roof accordingly and place it on the posts. Fix it with screws to both bearers and rafters. 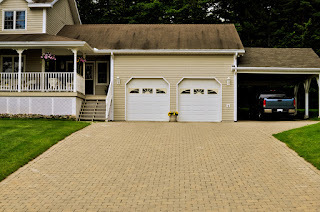 While building customized carports, make sure that roof surface is extended beyond the frame in order to protect your vehicle from rain and snow. Once your carport gets ready, you can use these for many years to come. 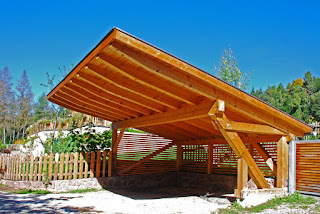 These are above details about the types of carport, how to build it and also it can provide you protection from different weather condition to your cars for a long time.